As a trusted obstetrician treating women throughout the Santa Monica, CA, area, Dr. Bruksch provides comprehensive prenatal care toe ensure mothers-to-be and their developing babies stay as healthy as possible right through delivery. "Please do not hesitate to come to this office. The staff is professional and attentive." "I was so impressed with this office. Easy parking, clean office." "The new office is beautiful, new and has FREE parking. It is calm and easily accessible." "Dr. Rastegar is so great! She's very compassionate, concerned & caring during the exam." "What a great experience meeting with Dr. Rastegar today!" Prenatal care is one of the most important things yo can do to ensure your baby is as healthy as possible, both during pregnancy and following birth. By ensuring you do all you can to keep yourself and your developing baby healthy during pregnancy, you set the stage for a healthier infancy and childhood. In fact, some studies have shown getting proper prenatal care can even have an impact on your child's health well into adulthood. Regular prenatal visits also help Dr. Bruksch identify potentially serious health risks and treat them appropriately so you an reduce your risks of complications during pregnancy and delivery. How often will I need to see the doctor while I'm pregnant? Most doctors like to see mothers-to-be every month up until the 28th week of pregnancy, and then every other week until the 36thweek. After that, you'll need to go every week until delivery. Some women with high risk pregnancies will need to see the doctor more frequently for additional monitoring, evaluation and testing. What happens during a prenatal exam? At the start of your exam, you'll be asked about any unusual symptoms you may be experiencing and your blood pressure will be taken. You'll also have to supply a urine sample to be tested for signs of infection or signs of other potential medical issues like gestational diabetes. Depending how far along you are in your pregnancy, your belly may be measured and Dr. Bruksch may order additional testing like blood work or ultrasounds to keep an eye on your health and the health and development of your developing baby. Your visit is also a time to discuss any concerns you may have and learn what to expect as your pregnancy progresses. "Dr. Lawrence Bruksch is a fabulous OB/GYN. I've been his patient for eighteen years and have been very pleased with his knowledge, care and professionalism." "I've had to have a couple of procedures performed, and I felt comfortable in his hands. I would highly recommend him." "Excellent!! I'm so happy they opened up a location in Westchester. The service is great and the doctors are amazing!" "Dr. Chang is great, I highly recommend him. I gave birth to my son Luca under his care, I would go back with him again." "I love going to appointments because they were so thoughtful and answered all my questions (and as a first time mom, I had a lot)." "I highly recommend Dr. Bruksch for anyone who is seeking great care and a knowledgeable and trustworthy doctor." "He answered all my questions, & then helped fix symptoms I thought couldn't be helped. I am now living much better than before & am appreciative that I saw Dr. Chang!" 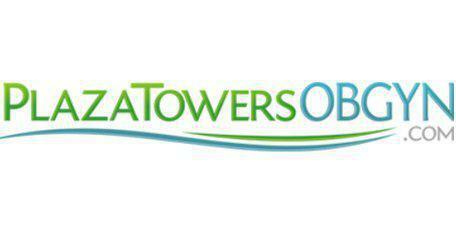 "I love Plaza Towers! I've been going to this doc's office since 2008, they took care of both my pregnancies." "I would recommend Dr Chang to anyone and we are truly forever thankful for his knowledge and for sincerely caring for us." "They were all professional, efficient and were patient answering the zillion questions I had. I would recommend any doctor in this practice without exception."